Ello is a new, invite-only social network that has recently received a lot of press for two main reasons. First, the site vows never to sell information about its members to advertisers or to allow ads to appear in its network. Second, this idea of an ad-free social media experience has resonated strongly with the public, resulting in a record number of people requesting to join the new site. At Advice Interactive, we are dedicated to remaining current with social media trends and knowledgeable about the way these trends affect marketing strategies. For this reason, we urge our clients to consider the ways that an ad-free social network may affect their own marketing strategies in the months and years to come. The idea of creating a space where people can share their thoughts and ideas without being bombarded by targeted ads is not new. Many small sites and apps have been endeavoring to achieve this for some time now. 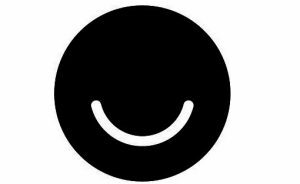 While the media hype surrounding Ello’s success may suggest it is capable of unseating more established social media sites, the reality is that this is unlikely to happen for some time, if ever. If you are currently having success with your social media marketing campaign, there is no reason to fear that your success will cease overnight. If businesses learn anything from the way people have embraced the idea of ad-free social media, perhaps it should be a reminder that a desire to connect with one another is at the heart of both social media and commerce. We want to do everything in our power to help our clients connect with customers who can benefit from the services they offer and we are confident in our ability to use this new social media phenomenon to further that goal. If you are interested in learning more about how the marketing professionals at Advice Interactive can use Ello and other social media sites to help your business grow, call us today at 877-692-7250. Home BlogWhat Is Ello and Should You Even Care?